Draco Ng on maintaining a good relationship with local media, sport sponsorships and the future of finance in Asia. AETOS is a global provider of forex, bullion, and CFDs. It is headquartered in Sydney and has additional offices in London, Shanghai, Beijing and Hong Kong. With multiple bases in China, the firm understands how to thrive in the Asian market. With the iFX EXPO in full swing at the moment, and another event in Shanghai coming soon, Finance Magnates sat down with CEO Draco Ng to ask about some aspects of the financial markets in Asia. Please tell about yourself and how you reached your current role. I started my career as a software engineer at investment banks for 10 years developing trading platforms and back office systems. At that time, the trading platforms were only used by professional traders using mainframes and powerful workstations connected with leased lines. Due to the necessity of developing a good system fulfilling various business requirements, I studied part-time to obtain my second degree in Economics and Management. From 2000, I worked on internet-based trading solutions for Hong Kong stocks and forex trading in China for the retail clients. Those platforms had a native client written in Java Applet or C++ programs. When I joined Henyep Group as IT Director in 2005, this was my first time working with high leveraged margin trading. We launched MT4 in Kuwait, Dubai, Bahrain, Syria and China within 6 months. When the sales manager of China left the company in year 2006, I took over his role to grow the IB and white-labelled business in China which contributed from 0% to over 30% of the company’s revenue. At the same time, we launched Web-trader, mobile app, Affiliate System and Salesforce CRM System. In 2012, I joined AETOS Capital Group as CEO with more freedom and challenges to grow the IB business under two jurisdictions. We built the technology again with a stronger risk management system, straight through processing with liquidity providers, plus multi-level IB management system. Currently, AETOS has 25 offices globally with diversified cultures and we are still enhancing our systems and technology for each local market. I like to quote the words of my mentor: to be successful, we need to get out of our comfort zone and transform ourselves. Following your partnership with the Western Sydney Wanderers, how do you value sport sponsorships in building an international brand? Our team play football and we love football. Football matches attract a lot of eyeballs. Sport sponsorships create a mutual benefit for both parties. The sport industry relies on sponsorship and advertisement while AETOS wants more popularity in the Asia-Pacific region. AETOS is willing to support all that we believe in and what we love in our home. How has the marketing landscape in China changed over the past few years? In the past, search engine marketing, online advertisement, trade competitions and local seminars were the major marketing tools in China. Introducing brokers were more exclusive to one forex broker. Today the ROI on online advertisement has become negative and the conversion rate from trade competitions has become less effective. Even the ROI on keyword searches is reducing. Introducing brokers will work with multiple brokers and participate with the local Chinese market. Advertisement on mobile devices and social media are the new trends for online marketing. In 2015 AETOS suffered from blackmail attempts by Chinese affiliates. How do you protect yourself from such attempts from local partners? It is very common and dangerous to be blackmailed by local partners, clients as well as media. But none of these incidents were serious. The fundamental principle for us to grow our business is that we must comply with our regulations and local laws. This includes treating clients fairly, being anti-money laundering, no personal advice, monitoring of account churning, etc. Only if we do things right do we have a chance of getting issues resolved. We employ local lawyers who give us updates on the local laws and help us to resolve issues. We will always communicate with clients to get things explained and resolved first. But the bottom line is AETOS cannot be just threatened. Throughout the years of experience in dealing with the complaints, we build a strong relationship and trust with media, local search engine companies, portals, as well as the local police. Today when we encounter similar incidents, our response is much faster and better. How do local Chinese media reports affect your operations in the country? It is one of the key areas that we put a lot of effort into. A positive media report will bring in trust to attract more partners and clients to open an account with us while a negative media report will scare our clients. We need to not only create our own content to be published by the media but also to keep a good relationship with the local media. How do you see the future of the Asia-Pacific FX markets? Where are the risks? 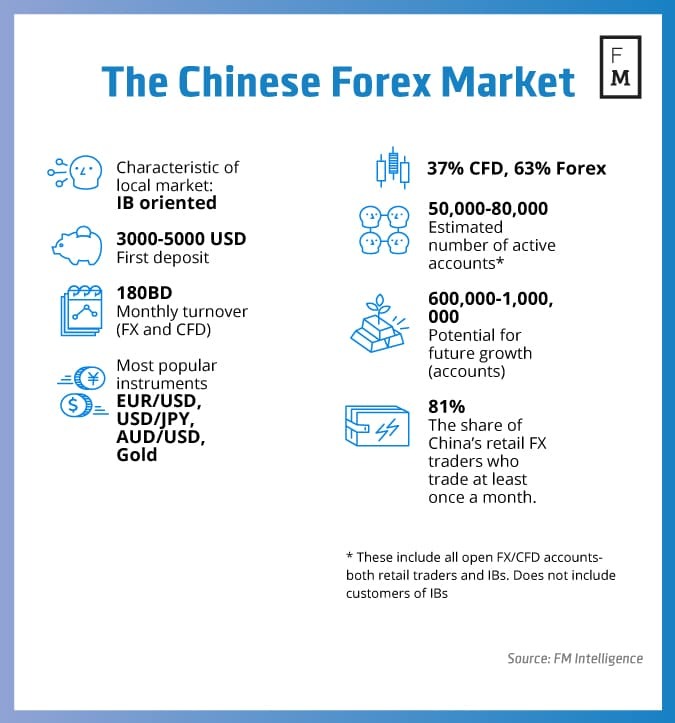 Besides the highly-regulated countries such as Japan, Hong Kong and Singapore, I see a great opportunity for FX markets to grow in those developing countries because their markets are still operated under high spreads and with high commissions. They are still dominated by IBs. Nevertheless, currency control is a big issue. It is quite hard to get the money out from those countries through proper payment gateways. Besides, we need to pay high attention to account churning. It is very easy to have the clients’ accounts controlled by the IB and lose all the money. This year is our 10 year anniversary and we have grown a lot over the past 5 years. I would like to see a growth rate of over 20% in the coming few years with more establishments in developing countries. The biggest driving force will be from China and the Asia-Pacific region. We are aiming to cover a wider spectrum of clients in the market. It is not a good signal to have more regulators reducing margin leverage and enforcing local licenses to conduct forex business. The increased control over cross-border transactions in forex, binary options and bitcoin are also bad for global business. This seems to be the only way to protect investors from a volatile market. The industry is in a transition stage from high speculation to wealth generation. We will have fewer competitors from the unregulated side and the rules of the game will become less crazy compared to before. When forex becomes a similar product to stock indices and stocks, without high leverage, I believe a forex broker needs to offer wider range of products for clients and focus more on education and services. Investors show high demand for managed funds in the capital market. It will be a challenge to offer a fund managing system to introducing brokers while closely monitoring performance. Besides, social trading is very attractive in the market. It is not easy to have a stable and reliable master trader to follow with the same execution quality and transaction costs. We need IBs to give advice to help clients switch between different masters. In addition, offering multi-asset trading services to clients seems attractive. But current forex brokers are still charging high spreads and commissions in offering stocks, futures or indices as compared to the stock brokers through direct exchange execution. Finally, I am not sure how the Blockchain will change the trading world.